At Drain King Plumbers, we offer comprehensive plumbing services and repairs for the Greater Toronto Area. As homeowners ourselves, we understand the importance of finding plumbing services you can trust. From re-piping your home to repairing broken pipes and other leaks, we have you covered. Our long list of residential plumbing services covers installation and repairs for virtually any plumbing appliance. Whether you are installing a new bathtub or need to repair pipes that froze over the winter, our experienced plumbers are at your service. Beyond our residential plumbing services, we also offer extensive commercial plumbing. Even a small leak can become a costly experience for a small-business owner forced to close their store during repairs. We offer exceptional emergency services that can have your pipes repaired and your business opened in a matter of hours, depending on the extent of the damage. 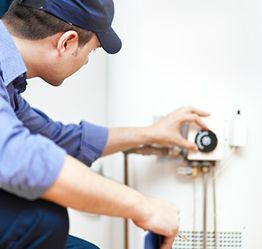 We understand that commercial plumbing needs can vary from business to business, and we are well-trained and well-equipped to handle any repair or installation. 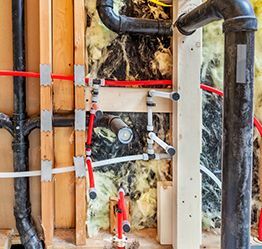 For those looking to build a house or renovate their kitchen, bathroom, or basement, we also offer comprehensive installation services customized to your specific needs. No matter how complex and intricate your project may be, our team of experienced, dependable plumbers can make your dream bathroom become a reality. We offer a high quality of craftsmanship with honest, reliable service that you can trust. Need a new water heater? No problem! Give us a call and we will offer you a detailed quote for your service and parts, and then we will bring our rolling office right to your home so we can install your new appliance as soon as possible. 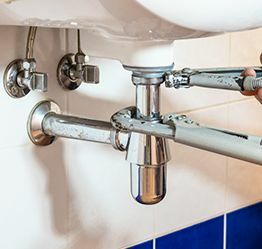 The team at Drain King Plumbers is made up of experienced, professional plumbers and customer service representatives. We pride ourselves on being able to respond to repair calls with haste, minimizing the damage caused by a leaky pipe. We are a locally-owned company, and our plumbers will work with you to understand your unique plumbing needs. Not only will we fix your plumbing issues, but we offer competitive rates, so we are sure you will be happy with our level of service. To learn more about our plumbing services, call Drain King Plumbers at (416) 661-5464 or contact us here. Both residential and commercial properties are at risk of needing plumbing repairs.